It’s spring which means it’s rainy outside. 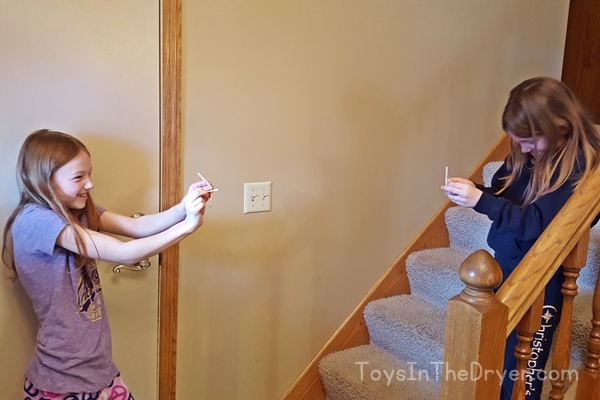 It’s easy to let the kids play on their tablets all day but that’s not exactly good for them. Today I’m adding to the popsicle stick bow and arrows to our collection of rainy day activities. 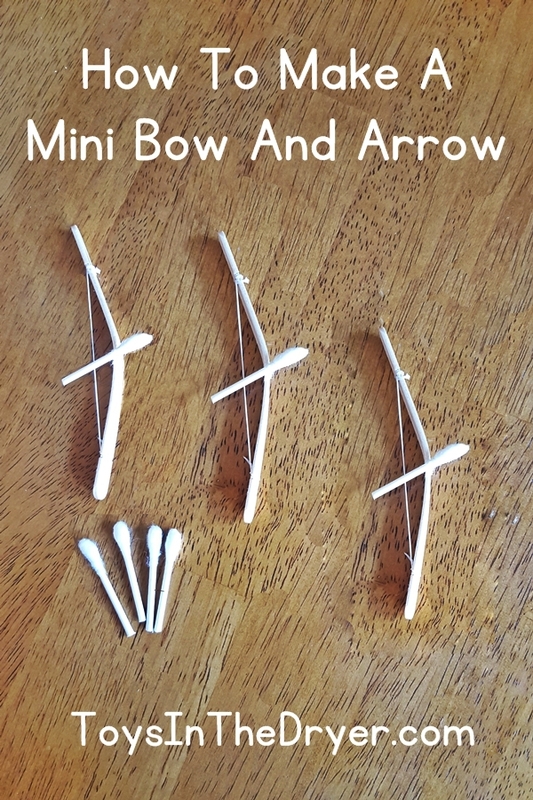 These mini bow and arrows are something the whole family can have fun playing with! 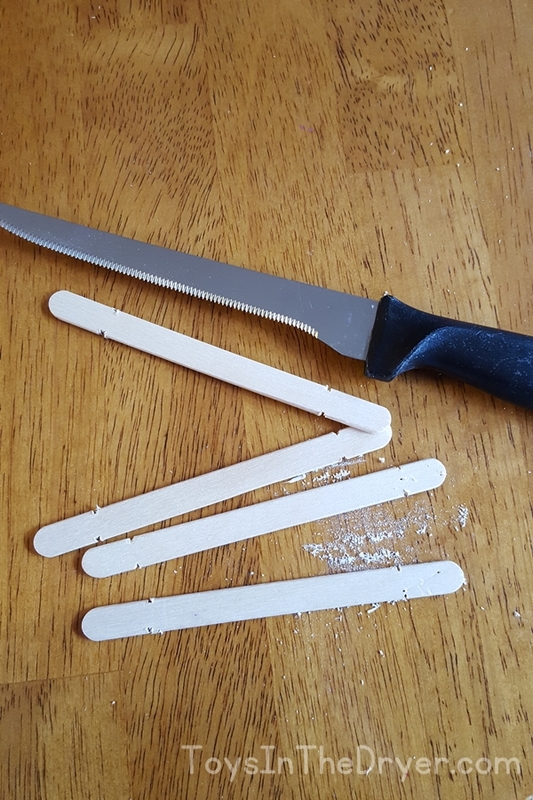 Start by making two small notches on each end of the popsicle stick. They should be about 1/2 inch from the end of the stick. These notches help hold the dental floss in place. I used a knife to make the notches but use what works best for you. Next, wind dental floss around the popsicle stick where the notches are. 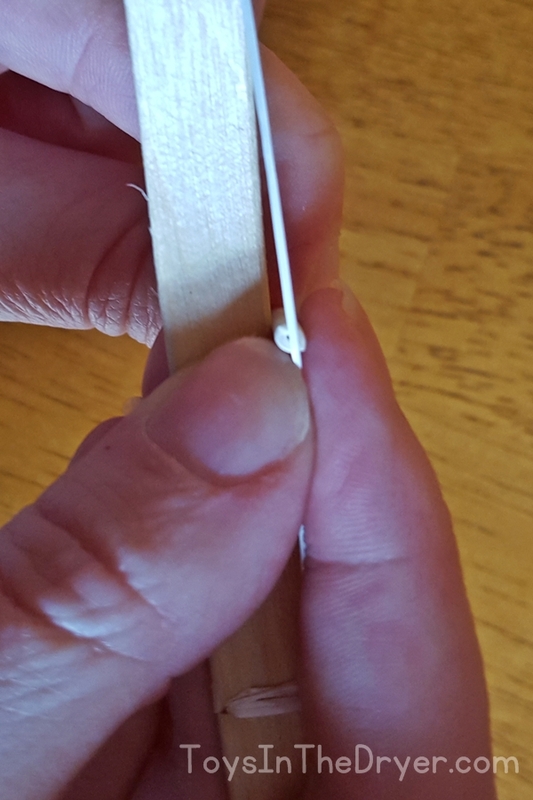 Once you’ve wound it around a few times, pull tightly so that the popsicle stick bends. Then wind the dental floss around the notches at the opposite end. Make sure you start on the same side of the stick as you ended when you move your floss to the opposite end. Did any of that make sense? The photo explains what I mean. Cut and tie the floss. 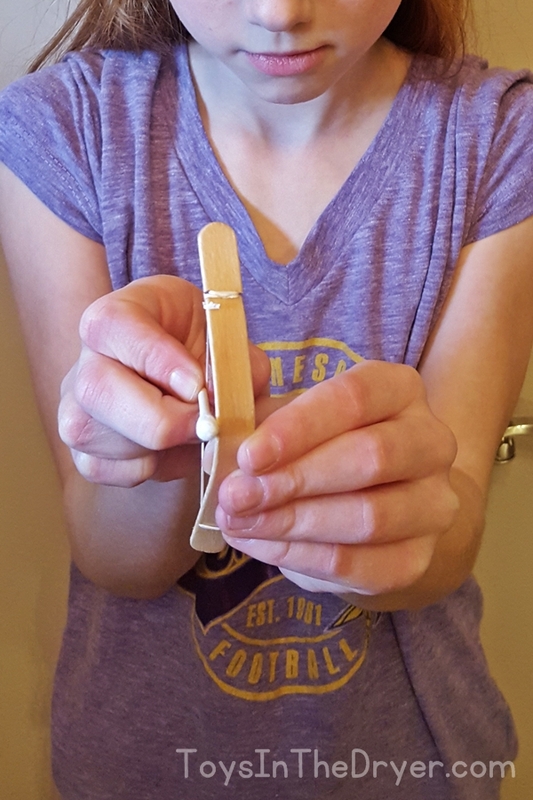 Your popsicle stick bow is now ready to use! Cut q-tips in half to make mini arrows. Hold the “arrows” against the dental floss as shown in the photos above and below. 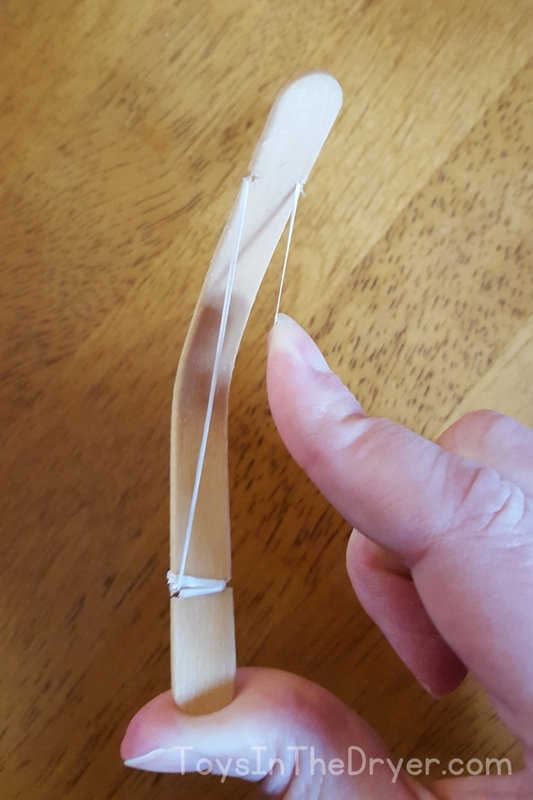 The popsicle stick bow and arrows can take a bit of getting used to but once you get the hang of them, they fly pretty far! Nutty and Tottie had a lot of fun playing with them. Even I got in the action and was surprised how well they worked! 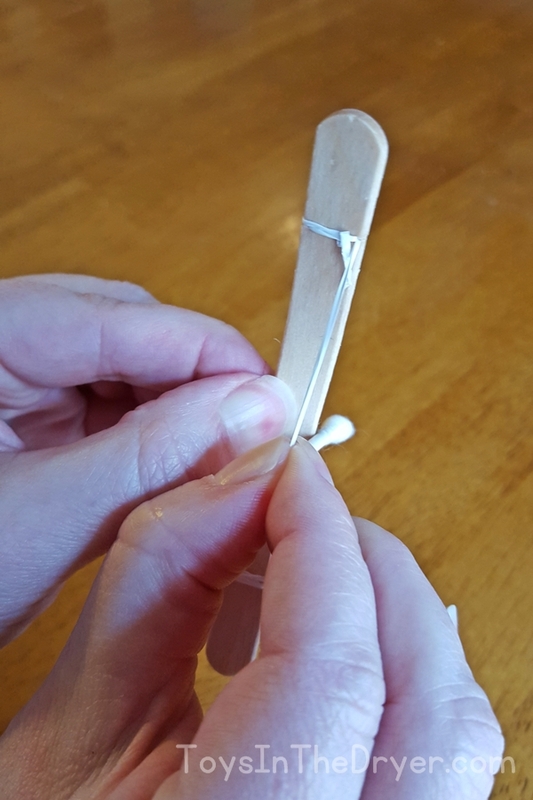 The dental floss does eventually stretch out so you only get a few uses out of each popsicle stick bow and arrow. Its totally worth it though and not that difficult to fix as you can just re-string the floss tighter again. Does this look like something your kids might have fun doing on a rainy day?